Many gym and health club directors focus most of their efforts on the recruitment of new members – especially when the New Year swings around or it’s the summer. This is important – many gyms rely on the profit gained from new members to continue operating. However, just recruiting new members to your gym is not enough to ensure your success. In fact, most gyms and health clubs suffer from a 50 yearly “attrition” rate – meaning that around 50% of your membership will leave each year. Reducing this number is critical to maintaining profitability, and running a more successful gym. Not only that, long-term members can be significantly more profitable to your gym. According to a 1990 study by Reichheld & Sasser, a 5-year member of a gym can be up to 377% more profitable than a new member. Finally, the competition in the marketplace is getting stiffer. The number of U.S. gyms and fitness centers has been increasing at a steady pace. In 2008, only around 30,000 gyms were in operation across the U.S. Today, that number has increased more than 20%, to 36,000. The numbers don’t lie. To succeed in today’s hyper-competitive world, your gym needs to focus on retaining members – not just recruiting new ones. Your gym needs to consider investing in services that boost customer experiences in order to increase gym membership retention. One of those services is scent marketing. Walk around your gym and do a ‘sniff inventory.’ If you don’t like what you smell, you should do something about it because your competition may be one step ahead of you on this one. Sixteen percent of fitness club members don’t wash their workout clothes. Thirty-three percent exercise without deodorant. What can you do about these unpleasant odors? Scenting! That’s what you can do. Scenting will not only will not only extinguish those gym smells, but they will also help eliminate air-borne bacteria, viruses and molds, and work to enhance your members’ moods, enhance the experience for members, and invigorate your members so that they get the most out of their exercise programs and encourage members to maintain their membership. Why do Gyms Need Scent Marketing? 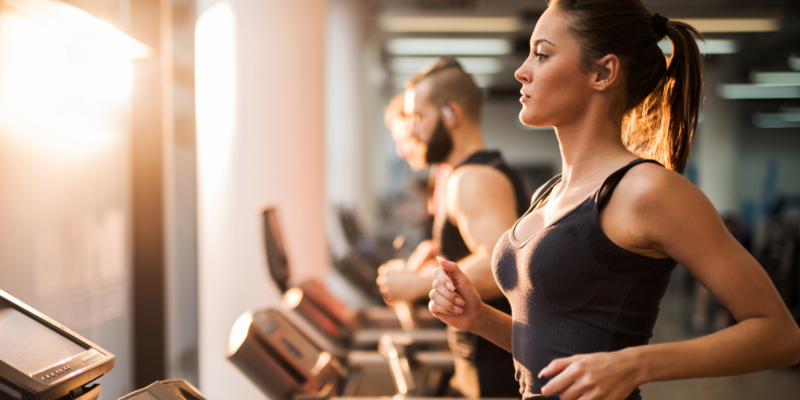 Historically, many gyms are (unpleasantly) associated with certain unsavory smells – primarily the raw, human smell of sweat and other unlovely odors. Scent marketing can sever the connection between the stereotypical “dirty sweat socks” scent that people associate with working out and the unique gym environment you’re providing, making your gym preferable to competitors that don’t use scent marketing. You’re enhancing your brand by adding something new and novel. When giving customers an additional brain boost by appealing to their olfactory sense, you’re offering something other gyms don’t. This is why scenting has become an essential marketing strategy for modern fitness centers, gym, yoga, pilates, aerobics workout and dance studios. Besides enabling members to enjoy their hour or two of workout, scents subtly influences your clients’ moods and make them remember your gym as a one-of-a-kind experience. Suggested applications for scents include: In the main work out areas, changing rooms, studios where yoga / aerobics classes are conducted, customer service lobbies. What are the Benefits of a Scent Marketing Strategy? The brand benefits of using scent marketing in your gym are numerous. You’re appealing to an untapped sense, which enhances customer perception of your establishment. Using ambient scent marketing in your fitness business creates a selling point that many competitors are lacking; it also gives you a subtle, yet tangible selling point to offer clients. When done properly, scent marketing can enhance the image of your business in the eyes of your clients and set you apart as a clean, upscale, positive, welcoming place to work out – something everyone is looking for – whether they’re a fitness guru or a New Year’s resolution newbie. The reality is, loyal gym members are much more valuable to your business the longer they stay a member of your gym. Customer satisfaction is one of the highest motivators for staying with your gym. Not only will these customers be more loyal if they’re happy they’re also more likely to refer your gym to their friends. Two two pillars of your fitness business success. Retention and word of mouth. Gyms, spas and fitness centers everywhere seek to provide their clientele with more than just the bare essentials of membership. State-of-the-art equipment and classes are attractive features, but they aren’t enough to make a gym or fitness center stand out above others that are offering more or less the same services. You must rise above the smell of sweat and gain an edge by diffusing carefully selected scents that create a clean, healthy and revitalizing environment. When you use a scent marketing strategy, you can help to create happier, loyal members, decrease the attrition rate of your gym – and run a more successful business. Not sure where start with scent marketing for your gym or fitness studio? Don’t sweat it, contact Scentsational Impressions and we’ll provide a 30 day risk-free trial so you can smell the profits.